Purification and Characterization of a Novel α-Agarase from a Thalassomonas sp. 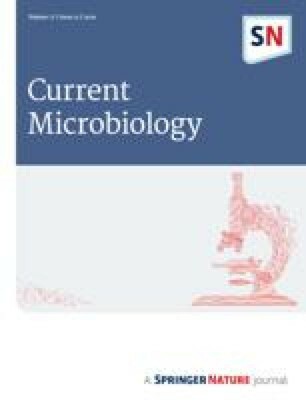 An agar-degrading Thalassomonas bacterium, strain JAMB-A33, was isolated from the sediment off Noma Point, Japan, at a depth of 230 m. A novel α-agarase from the isolate was purified to homogeneity from cultures containing agar as a carbon source. The molecular mass of the purified enzyme, designated as agaraseA33, was 85 kDa on both SDS-PAGE and gel-filtration chromatography, suggesting that it is a monomer. The optimal pH and temperature for activity were about 8.5 and 45°C, respectively. The enzyme had a specific activity of 40.7 U/mg protein. The pattern of agarose hydrolysis showed that the enzyme is an endo-type α-agarase, and the final main product was agarotetraose. The enzyme degraded not only agarose but also agarohexaose, neoagarohexaose, and porphyran. We are grateful to Dr. Y. Sakano of Tokyo University of Agriculture and Technology for stimulating discussions.